Rebound off 1.4480 puts the pair back above channel off 1.3832 (see graph) and back above inverted daily channel top off June low (1.4839 today), with new recovery high. 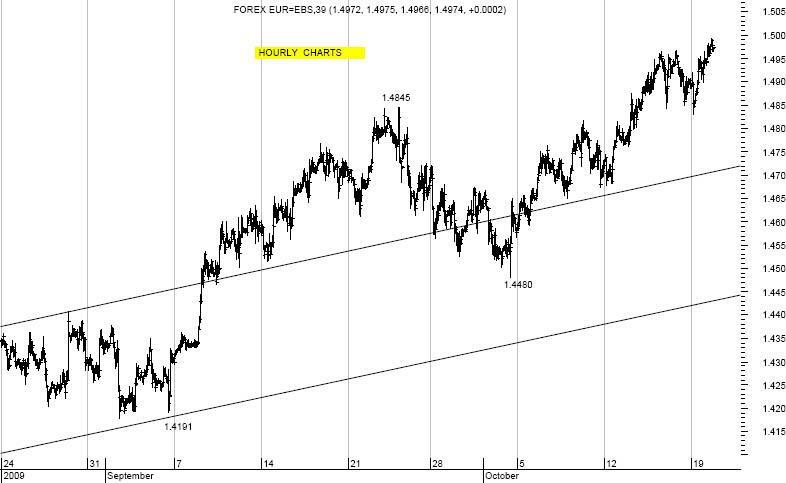 Support area at 1.4940/ .4936 (daily Short Term Moving Average↑/ reaction low hourly), with next levels at 1.4906/ .4899 (daily envelope bottom/ reaction low hourly), ahead of 1.4858/ .4829 (daily projection band bottom/ current week low). 1.4766/ .4745 = weekly envelope bottom/ daily Bollinger midline: ideal area to stay above to keep current short term outlook intact for €. Resistance at 1.4994 (today’s + new recovery high off 2008 low? ), ahead of 1.5008 (monthly envelope top) and 1.5021/ .5032 (2nd target of daily Double Bottom off 1.3739 + weekly envelope top/ daily envelope top), where pause favored. If wrong, next level at 1.5062/ .5079 (daily/ weekly projection band tops) and 1.5150/ .5164 (daily Starc top/ 76.4% 1.6040 to 1.2331): tough on 1st attempts.